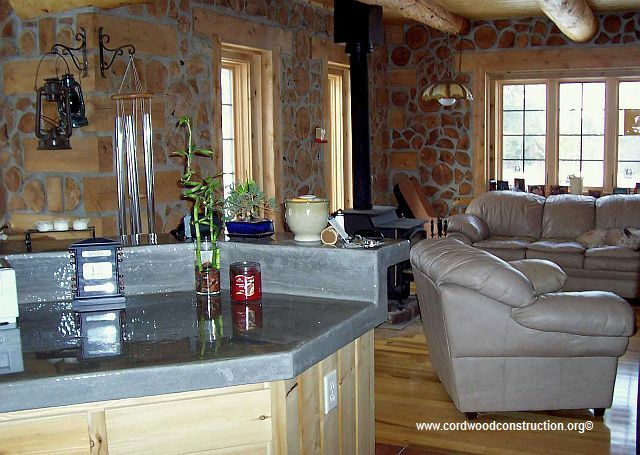 Does Cordwood belong in the Kitchen? 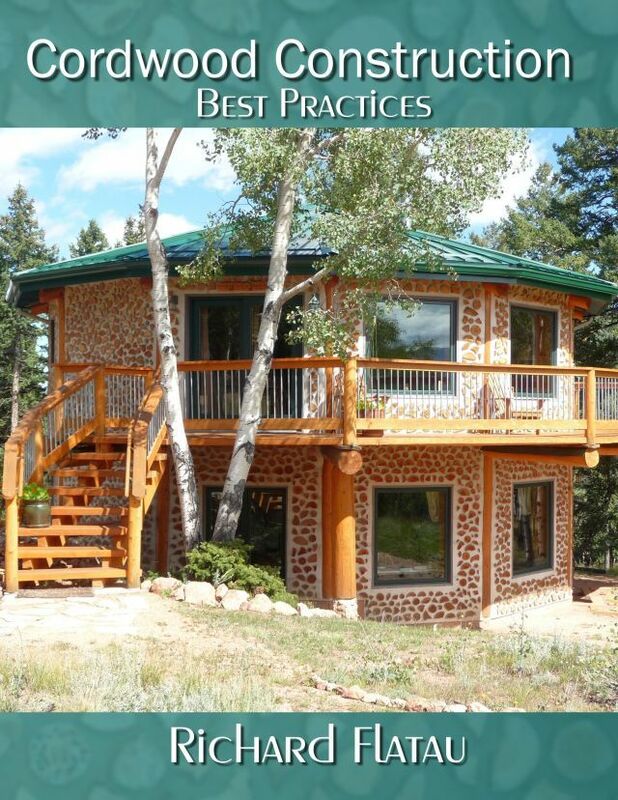 As my Swedish (Minnesotan) friends would say “Ya sure you betcha!” Many folks have wondered how to hang kitchen cabinets and design their kitchen around cordwood walls. 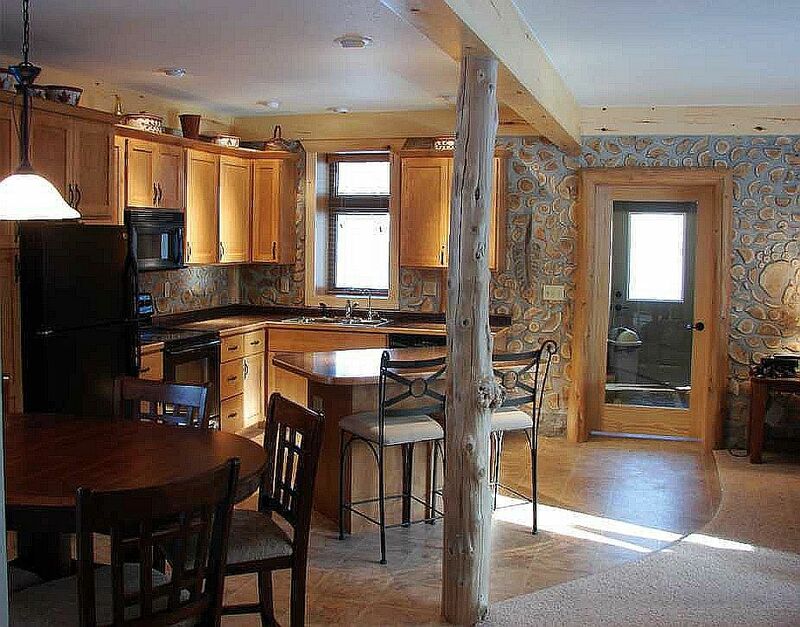 It is actually very easy because cabinets can be hung on any level and plumb wall. 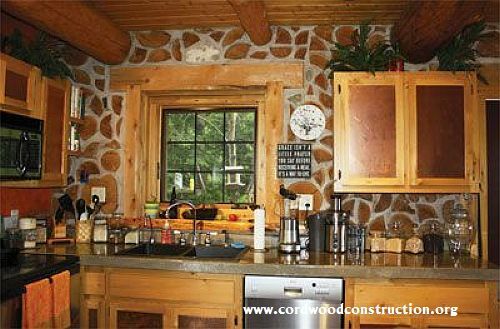 Here are some examples of “Cordwood in the Kitchen”. to get your creative juices flowing. 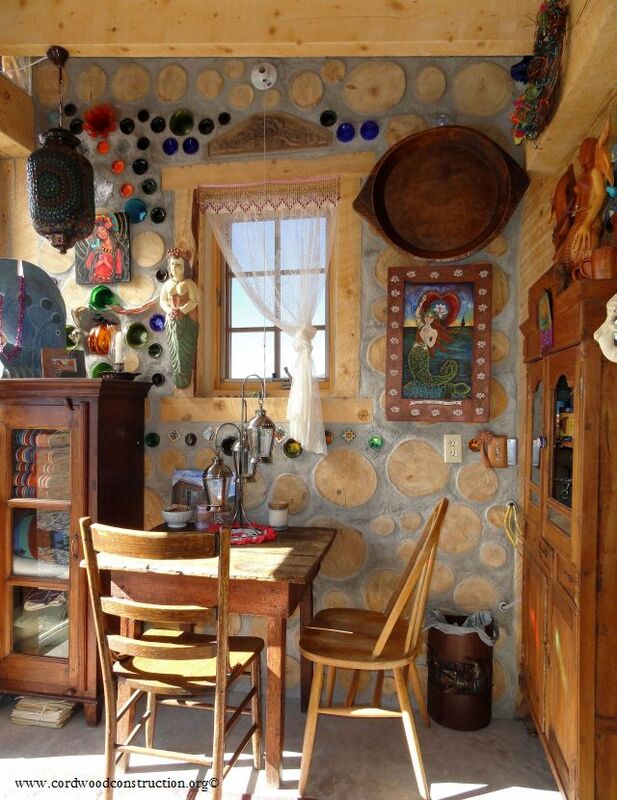 (Above) A beautiful cordwood wall lends dignity and class to a well-built kitchen. The cabinets are easy to hang (you don’t have to find a stud, just a log end). A Kitchen Island works well in so many ways. Folks can sit around for an informal meal or it can be a staging area for a sit-down feast. An open kitchen concept where guests are welcome to sit and share. Simple and elegant is the order of the day when space is limited. 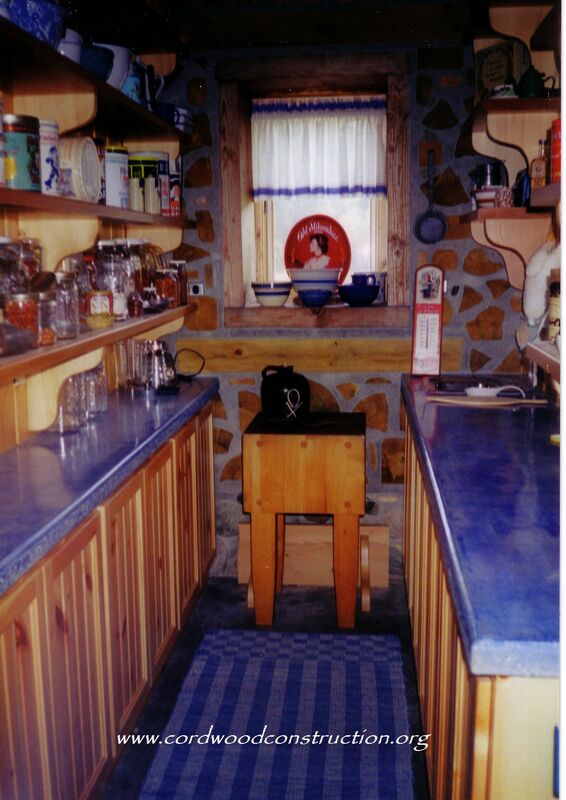 A blue-jean denim concrete coutertop is the perfect accent to this cordwood kitchen. 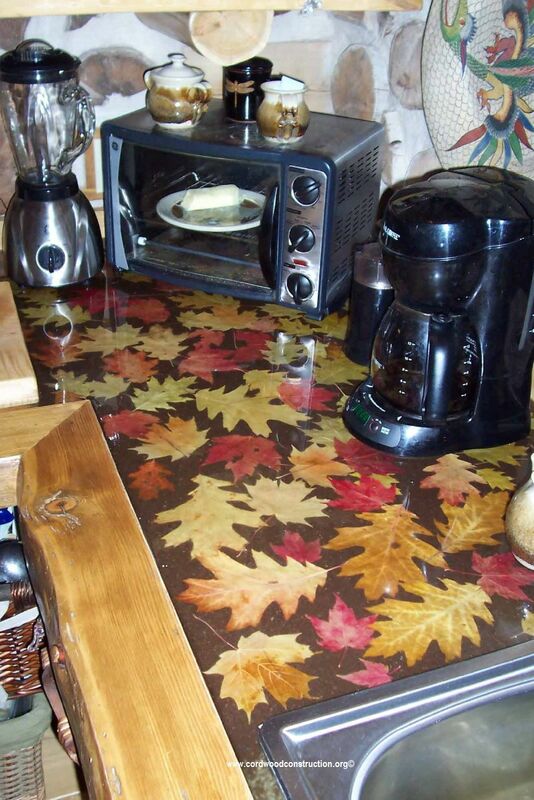 Fall leaves, at the peak of their color, are epoxied into the countertop. So let your imagination be your guide and don’t be afraid of trying something new . 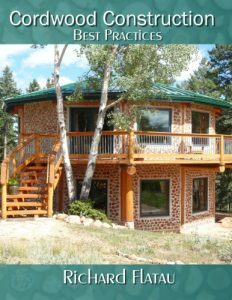 To learn how to build a cottage, cabin, or shed with best practices using Cordwood Construction, have a look at the latest book on the subject. 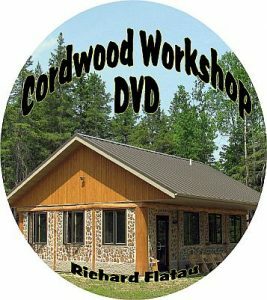 Click on the book cover or visit www.cordwoodconstruction.org and go to the Online Bookstore. Many of the books and plans are offered as ebooks. Email richardflatau@gmail.com if you have questions.